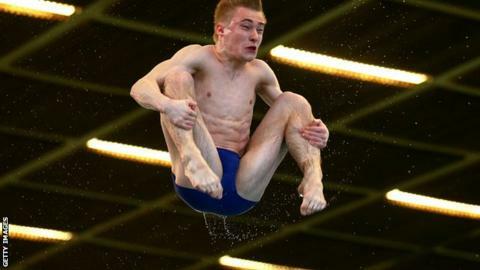 Teenager Jack Laugher has won bronze in the men's 3m springboard final at the Fina Diving World Cup in Shanghai. The 19-year-old, from Yorkshire, scored 488.20 in Saturday's final to finish behind the Chinese pair of He Chong (540.35) and Cao Yuan (526.70) and gain his first World Cup medal. Laugher was second in the semi-final in China, behind Cao but ahead of He. He finished third in the Diving World Series last month after taking bronze in the 3m springboard event in Mexico.